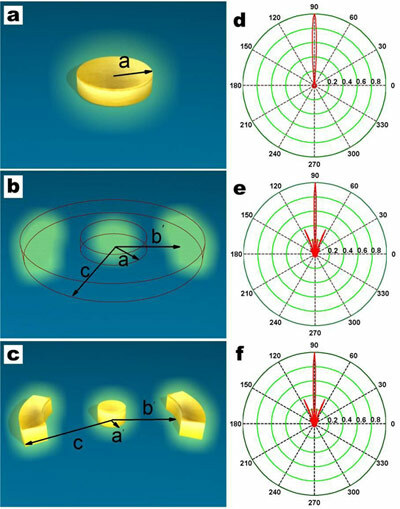 Using the space transformation theory and engineering capability of metamaterials, researchers from Southeast University in China, National University of Singapore and University of Birmingham have developed a functional “ghost” illusion device capable of creating wave-dynamic virtual ghost images of the original object’s position under the illumination of electromagnetic waves. This device is different than the invisibility cloaks that work in the microwave, infrared and optical parts of the spectrum that other scientists have been working on. Their device scatters light from the object and distorts it, while producing two “ghost” images on each side of the original object and can be achieved with today’s technology. You can read a PDF copy of the research paper at arxiv.org/abs/1301.3710. The creation of wave-dynamic illusion functionality is of great interests to various scientific communities, which can potentially transform an actual perception into the pre-controlled perception, thus empowering unprecedented applications in the advanced-material science, camouflage, cloaking, optical and/or microwave cognition, and defense security, etc. By using the space transformation theory and engineering capability of metamaterials, we propose and realize a functional ghost illusion device, which is capable of creating wave-dynamic virtual ghost images off the original object’s position under the illumination of electromagnetic waves. The scattering signature of the object is thus ghosted and perceived as multiple ghost targets with different geometries and compositions. The ghost-illusion material, being inhomogeneous and anisotropic, was realized by thousands of varying unit cells working at non-resonance. The experimental demonstration of the ghost illusion validates our theory of scattering metamorphosis and opens a novel avenue to the wave-dynamic illusion, cognitive deception, manipulate strange light or matter behaviors, and design novel optical and microwave devices. Be the first to comment on "Scientists Create “Ghost-Illusion” Cloaking Device"